Ending terminal illness is one of the hallmarks of the 21st century, with advances being made all the time. In recent years, efforts have been particularly focused on findings treatments and cures for the two greatest plagues of the past 100 years – HIV and cancer. But whereas HIV is one of the most infectious diseases to ever be observed, cancer is by far the greater killer. In 2008 alone, approximately 12.7 million cancers were diagnosed (excluding non-invasive cancers) and 7.6 million people died of cancer worldwide. Little wonder then why so much time and energy is dedicated to ending it; and in recent years, a number of these initiatives have begun to bear fruit. 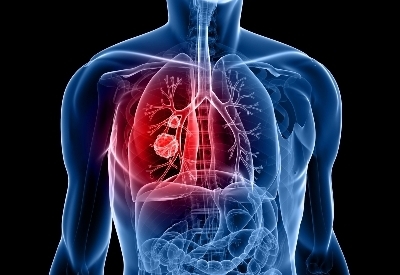 One such initiative comes from the Mayo Clinic, where researchers claim they have developed a new type of software that can help classify cancerous lung nodules noninvasively, thus saving lives and health care costs. It’s called Computer-aided Nodule Assessment and Risk Yield, or Canary, and a pilot study of the software recently appeared in the April issue of the Journal of Thoracic Oncology. According to the article, Canary uses data from high-resolution CT images of a common type of cancerous nodule in the lung and then matches them, pixel for pixel, to one of nine unique radiological exemplars. In this way, the software is able to make detailed comparisons and then determine whether or not the scans indicate the presence of cancer. In the pilot study, Canary was able to classify lesions as either aggressive or indolent with high sensitivity, as compared to microscopic analyses of the lesions after being surgically removed and analyzed by lung pathologists. More importantly, it was able to do so without the need for internal surgery to allow a doctor to make a visual examination. This not only ensures that a patient could receive and early (and accurate) diagnosis from a simple CT scan, but also saves a great deal of money by making surgery unnecessary. As they say, early detection is key. But where preventative medicine fails, effective treatments need to be available. 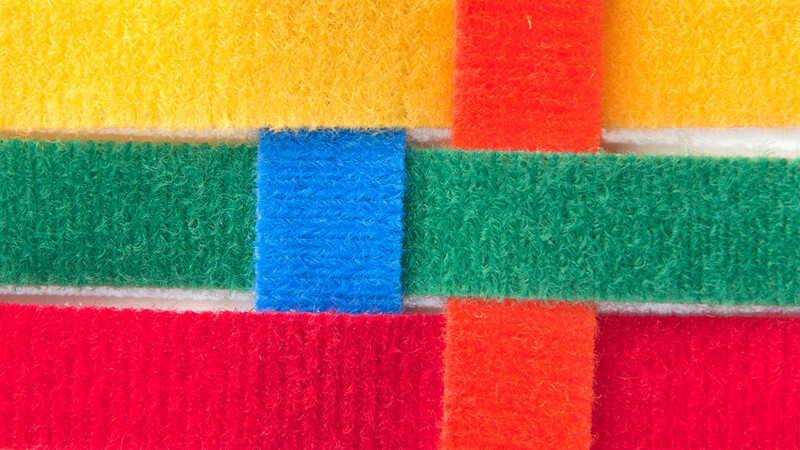 And that’s where a new invention, inspired by Velcro comes into play. Created by researchers at UCLA, the process is essentially a refined method of capturing and analyzing rogue cancer cells using a Velcro-like technology that works on the nanoscale. It’s called NanoVelcro, and it can detect, isolate, and analyze single cancer cells from a patient’s blood. Researchers have long recognized that circulating tumor cells play an important role in spreading cancer to other parts of the body. When the cells can be analyzed and identified early, they can offer clues to how the disease may progress in an individual patient, and how to best tailor a personalized cancer treatment. 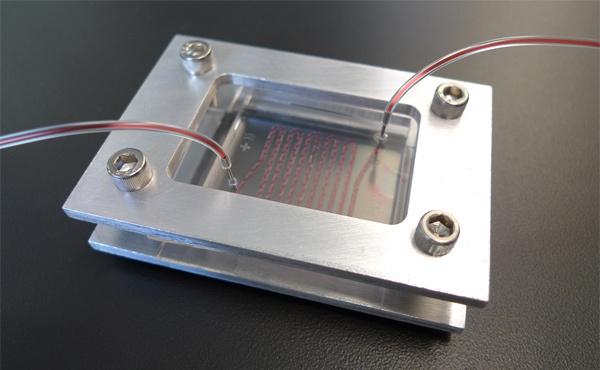 The UCLA team developed the NanoVelcro chip (see above) to do just that, trap individual cancer cells for analysis so that early, non-invasive diagnosis can take place. The treatment begins with a patient’s blood being pumped in through the NanoVelcro Chip, where tiny hairs protruding from the cancer cells stick to the nanofiber structures on the device’s surface. 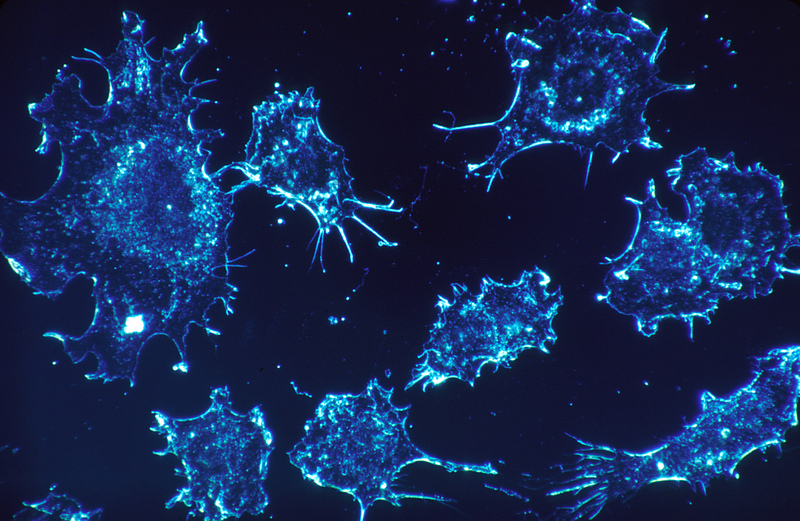 Then, the scientists selectively cut out the cancer cells using laser microdissection and subject the isolated and purified cancer cells to single cell sequencing. This last step reveals mutations in the genetic material of the cells and may help doctors personalize therapies to the patient’s unique form of cancer. The UCLA researchers say this technology may function as a liquid biopsy. Instead of removing tissue samples through a needle inserted into a solid tumor, the cancer cells can be analyzed directly from the blood stream, making analysis quicker and easier. They claim this is especially important in cancers like prostate, where biopsies are extremely difficult because the disease often spreads to bone, where the availability of the tissue is low. In addition, the technology lets doctors look at free-floating cancer cells earlier than they’d have access to a biopsy site. Already, the chip is being tested in prostate cancer, according to research published in the journal Advanced Materials in late March. The process is also being tested by Swiss researchers to remove heavy metals from water, using nanomaterials to cling to and remove impurities like mercury and heavy metals. So in addition to assisting in the war on cancer, this new technology showcases the possibilities of nantechnology and the progress being made in that field. New Movie Trailer: Man of Steel!